Ticket holders arrive to claim fundraising dinners. There was a very large turn-out for the fundraising dinner to benefit Daniel Cross, son of Jeff and Crystal Cross, of Union County. Daniel is currently awaiting a heart transplant, after dealing with heart problems since his birth thirteen years ago. 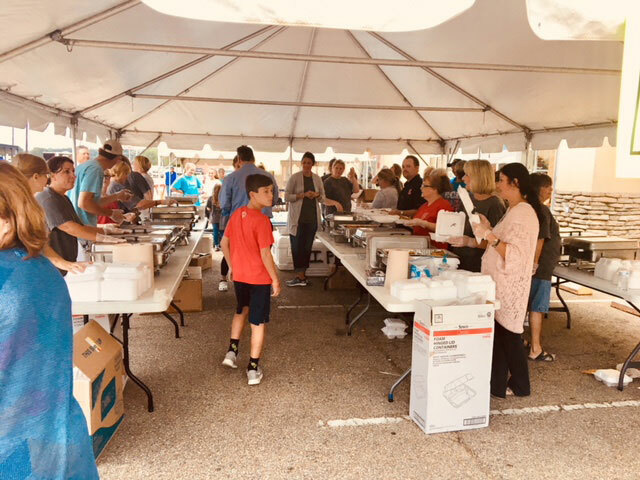 Volunteers help keep fundraiser dinner organized. Organizers report that all two thousand tickets for the dinner were sold out. With rain threatening, but holding off, a huge crowd came out to support Daniel’s cause. 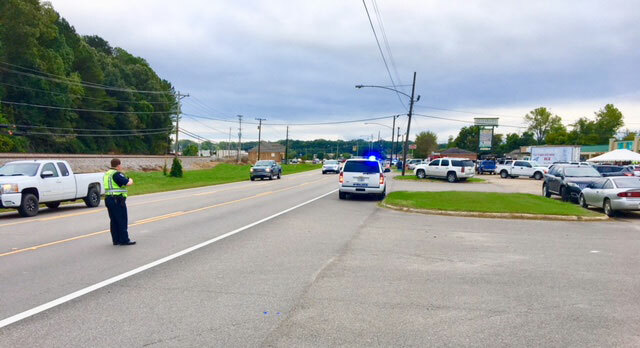 The New Albany Police Department was on hand for traffic control at the 2 Sisters Diner on West Bankhead, where the chicken and fish dinners went like hot cakes. New Albany Police provide traffic control on West Bankhead, near 2 Sisters Diner.